Posted on May 20, 2018 at 07:20. It’s perhaps the only time in the year when all 8 BTRDA championships get together and celebrate the successes in each of them. At the moment the Forest Rally Championship have their own dinner and awards night attracting a large number, as befits the championship with the largest number of entrants (267 in 2017). The Sporting Trial contenders have a grand final followed by a Dinner and evening activities local to the final – this year it was at the North Lakes Hotel & Spa in Cumbria that Ian Wright/Keil Wright celebrated their Gold Star. For the 2017 awards night the Rallycross championship entrants joined forces with the MDA (Minicross Drivers Association). So, that just leaves the Allrounders, Autotest, AutoSOLO and Car Trial BTRDA awards to be handed out and this was the main part of the awards bit at the Drayton Manor Hotel on Sunday, 21st January. Before then there had been the AGM of the British Trial & Rally Drivers Association Ltd where the annual accounts were looked at. Nominations made for members on the BTRDA Council and BTRDA Ltd Directors and voted for. It was a short punchy meeting chaired by President Mike Broad who kept everything under control. The only thing he did not quite get right was the late arrival of the cookies! Just a short time later Mike was saying Grace for the 89 members and guests seated for the luncheon. I have listed the numbers as 89 but some did not make it due to the unpleasant snowy conditions and ice around the country. Amongst the guests was David Richards CBE, the newly appointed Chairman of the MSA and it was pleasing to see him chatting to BTRDA member Colin Hilton who retired from Chief Executive of the MSA in 2013. Also present were the new MSA Asphalt Championship (run by BTRDA) organiser, Jane Evans who was seen getting plenty of encouragement from the newly elected chairman of the Forrest Rally committee, Neil Cross. The lunch was silver service 3 course with ample amounts to keep the stomach well filled. In between courses there was a chance for each table to complete Mike Sone’s face recognition quiz. Names for the 20 pictures of the famous and not so famous caused much discussion with no table getting them all correct. Why is it we don’t recognise minor government ministers? Whatever, the entry fees all went to the Air Ambulance. After coffee it was on to the awards with the splendid array of permanent trophies and glass replicas covering several tables and suitably arranged by Sue Underwood and her colleagues. First up were the winners of the BTRDA and MSA Car Trial championships awards presented by Mike Stephens, the Gold Star going to Shawn Franklin and the MSA title going to Rupert North. The Autotest awards were presented by chairman of the MSA Autotest committee, Mike Sones with words of explanation from Ann Cook. Richard Pinkney was the top winner here only just keeping ahead of the top 4 drivers to take the Gold Star. 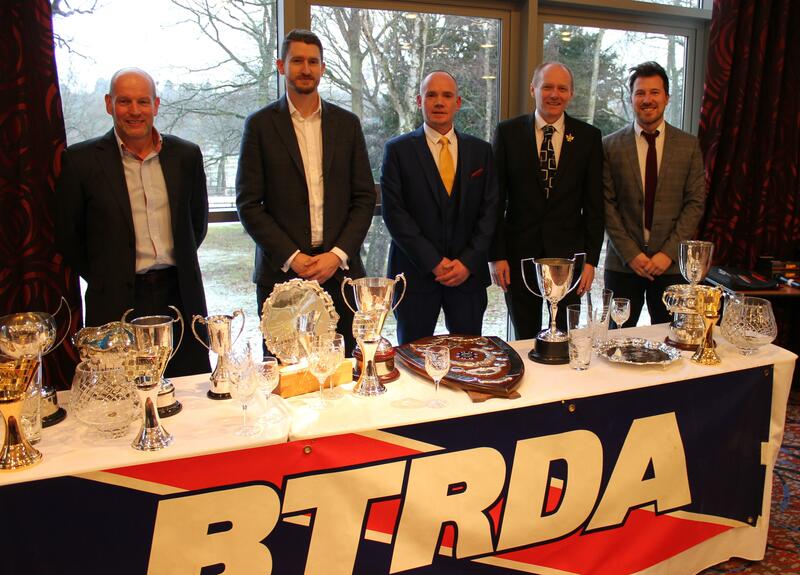 The AutoSOLO champion winners received their awards from BTRDA Council chairman Steve Layton, the major award here going to Jamie Yapp who used no less than 3 different cars during the year to score his points. John Rook showed some entertaining video of Rallycross action and Jeff Hope-Davies was represented his Gold Star and trophy by Bill Skermer. 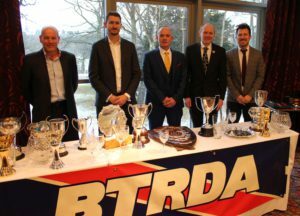 The final set of awards for the BTRDA Allrounders Championship are what the late President Denis Flather used to call the top awards of the BTRDA and were presented by the top man at the MSA, David Richards CBE. John Wadsworth competed on no less than 50 events in 2017, not bad for an 80 year old!, and was a well deserving winner of the Margot Young Trophy for 3rd overall. 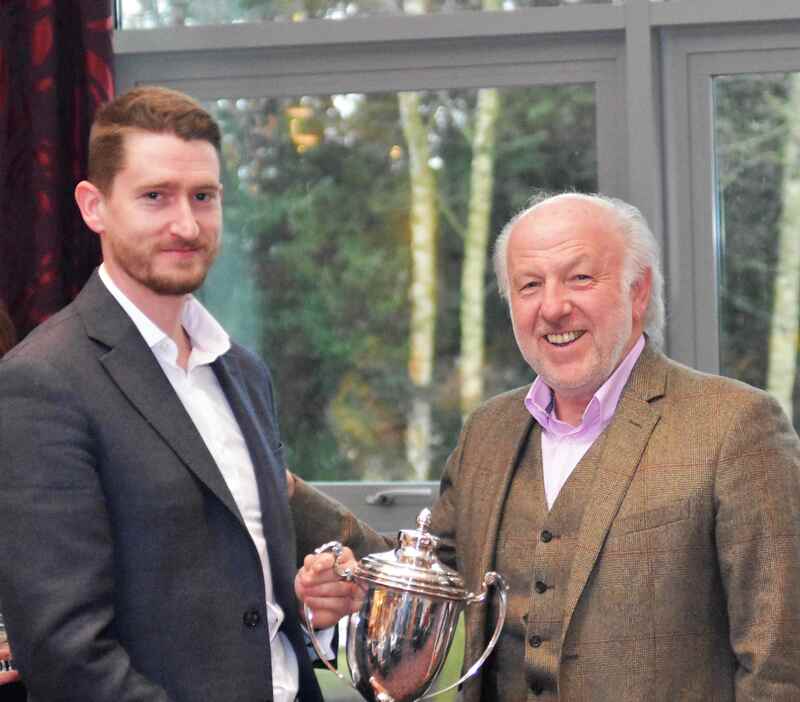 Richard Yapp picked up 2 awards with the Darbyshire Trophy for 2nd overall, and the Davijon Trophy for the best total using a single car (his Mazda MX5). The final Gold Star of the day and the Peter Cooper Trophy went to the overall winner John Fox. This concluded a well run afternoon finishing on the time prescribed by Mike Broad. The presentations were made more entertaining by the wit of the presenters Nick Pollitt, Ann Cook and John Rook whilst John also operated the overhead projector of the pictures he had organised for all the award winners. 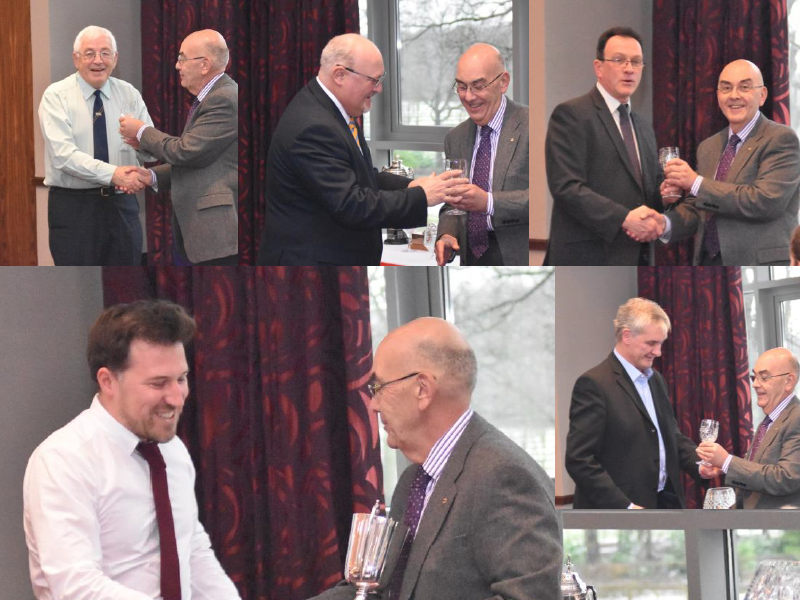 Will you be at Drayton Manor Hotel on the 3rd February 2019 for the presentation of the awards and recognition of your achievements in 2018? See you there.